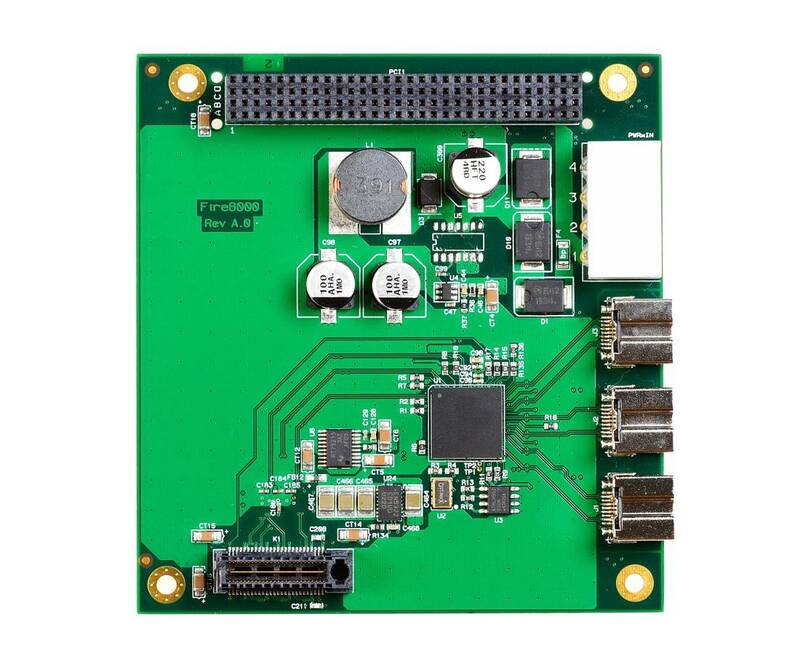 The FIRE8000X is a 3 channel IEEE-1394b FireWire™controller card for PCI/104-Express systems. 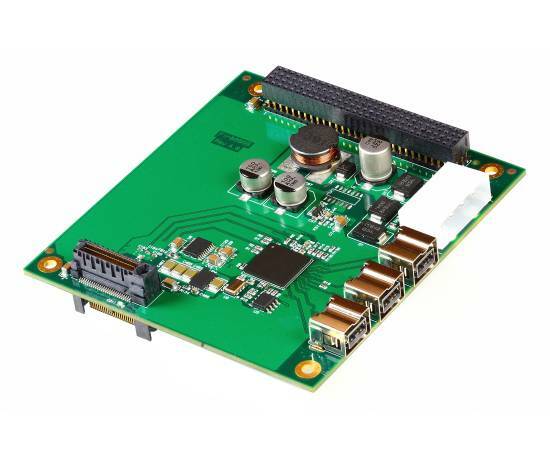 The IEE-1394b controller is OHCI compliant that supports all IEEE-1394b device speeds. The FIRE8000X is an ideal way to add FireWire devices to a PCI/104-Express system. The FIRE8000X provides 3 independent channel and each channel is capable of operating at 100/200/400 or 800Mbit/s. The Fire8000X uses bilingual IEEE-1394b connectors allowing IEEE-1394a and IEEE-1394b devices to be connected. The FIRE8000X is supported by drivers for Windows and Linux.